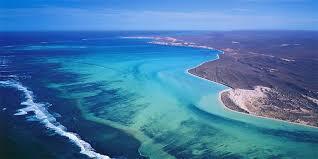 The Ningaloo Coast is a World Heritage Site located in the north west coastal region of Western Australia. The 705,015-hectare (1,742,130-acre) heritage–listed area is located approximately 1,200 kilometres (750 mi) north of Perth, along the East Indian Ocean. The distinctive Ningaloo Reef that fringes the Ningaloo Coast is 260 kilometres (160 mi) long and is Australia's largest fringing coral reef and the only large reef positioned very close to a landmass. 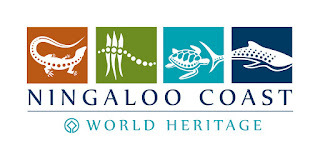 The coast and reef draw their name from the Australian Aboriginal Wajarri language word ningaloo meaning "promontory", "deepwater", or "high land jutting into the sea". The Yamatji peoples of the Baiyungu and Yinigudura clans have inhabited the area for over 30,000 years.